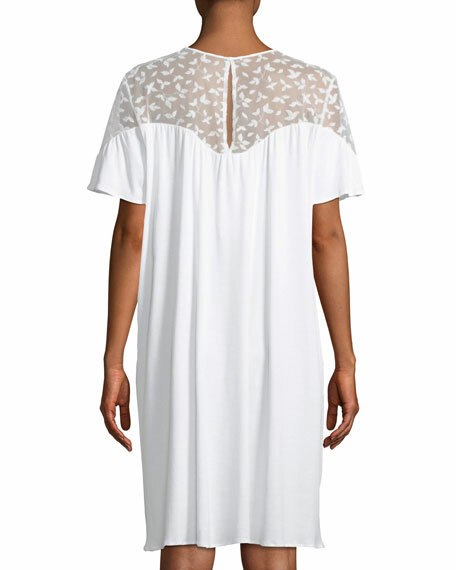 Hanro "Iris" nightgown with filigree-lace yoke. For in-store inquiries, use sku #2486340. 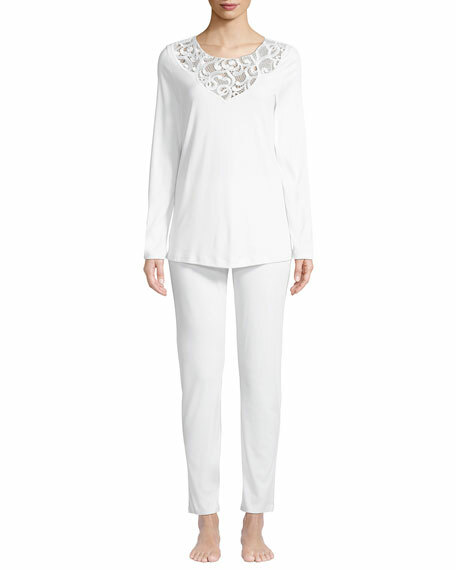 Hanro "Ella" two-piece pajama set with luxurious lace trim. Round neckline. Long sleeves. Relaxed silhouette. Includes matching straight-leg pants. Mercerized cotton. Hand wash. Imported.